Nike wanted to create a marketing campaign that adds value and advertises the brand, based on a number of key trends currently driving audience behaviours and one which includes creative self-promotion that Twitter and Instagram encourage. Nike is one of the biggest brands on Instagram with over 10 million followers. The reason for Nike’s popularity on the image sharing site is down to the fact that Nike has an in depth understanding of how the platform works. Nike’s Instagram images are beautifully shot images of people using their products. The Nike Instagram account is a great example of marketing to where your audience looks. 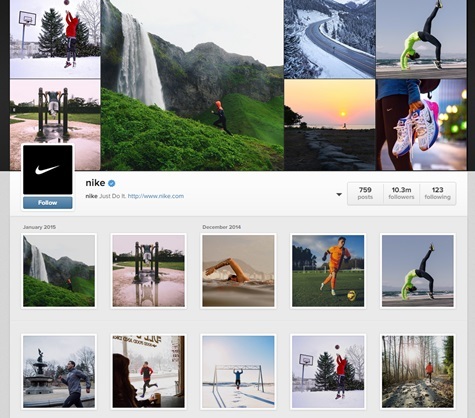 Nike capitalised on their Instagram following turning followers into customers with their Nike #PHOTOiD campaign. 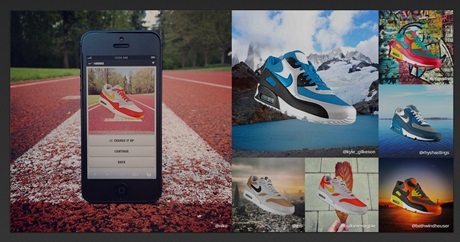 In 2013 Nike launched a microsite that let customers customise their trainers using their Instagram images. Once an Instagram image has been selected Nike creates a colour scheme for the trainers that match the colours in the image. Once customised, the shoe design can be shared on Instagram, Twitter, Facebook, Pinterest, Tumblr and Google+, and most importantly customers can then simply click through to Nike’s mobile store to buy their new personalised trainers. Nike ID’s online community is estimated to be 15 million strong with revenue of the fiscal year 2013 exceeding $100 million.